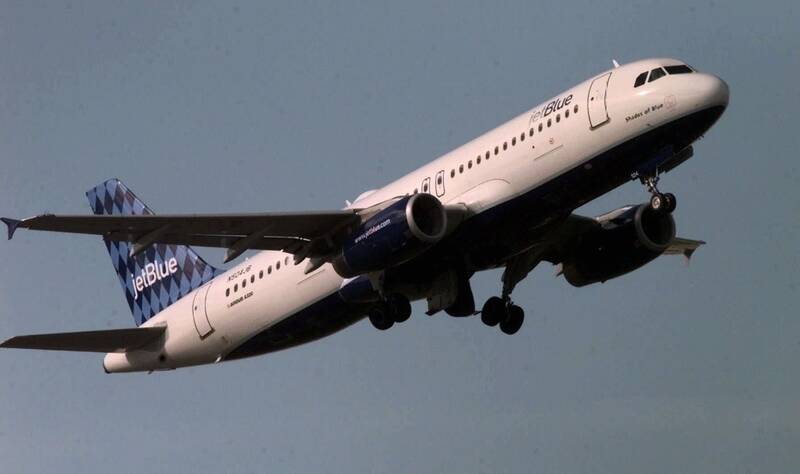 Updated 11:50 a.m. | Posted 10:41 a.m.
JetBlue will soon start serving the Twin Cities market. The airline will begin flying between Boston and Minneapolis-St. Paul International Airport on May 3. There'll be three daily round-trip flights between the markets. The airline said it will begin selling one-way fares on Tuesday starting at $89. JetBlue charges checked bag fees, although it waives them for some customers. The airline's website indicates there's no charge for carry-on bags. The Metropolitan Airports Commission has long tried to woo JetBlue to the Twin Cities. Minneapolis-St. Paul had been the largest domestic market not served by the airline. Delta and Sun Country airlines fly between Boston and the Twin Cities nonstop, year-round. Spirit offers summer service. About 1,000 travelers fly between the two markets daily, said Brian Peters, the person in charge of bringing new airlines to the Twin Cities airport, who'd been trying since 2010 to land JetBlue. If JetBlue adds more destinations from the Twin Cities, Peters said he expected Fort Lauderdale, Fla., and New York City would would top the list. JetBlue carries more than 38 million customers a year to 101 cities in the U.S., Caribbean, and Latin America, with an average of 1,000 daily flights. The Twin Cities will be the carrier's 65th city served nonstop from Boston. With JetBlue in the fold, MSP will focus on getting more nonstop service to overseas markets, said Peters. "Domestically speaking, this is the last major U.S. airline that we do not have," he said of JetBlue. "So, it kind of shifts the focus squarely back on the international front."